Kimberly Guilfoyle is reportedly leaving her post at Fox News after over a decade with the network claims Gabriel Sherman. Guilfoyle has long been one of Fox News’ most loyal and dedicated employees. She is often one of the first and most vocal supporters of any co-worker or boss who is maligned in the press, having publicly gone to bat for both Roger Ailes and Bill O’Reilly at times when few supported the men. Those two were eventually let go by the network, and with the departure of Megyn Kelly, Greta Van Susteren and Gretchen Carlson, Guilfoyle became one of the most senior female members of the Fox News family. In the past few months however, she has been getting more and more press for her life outside the office thanks to her relationship with Don Jr. It is a relationship that Guilfoyle believes could land her in the role of first lady, a position she has some experience in after her first husband Gavin Newsom served as mayor of San Francisco. 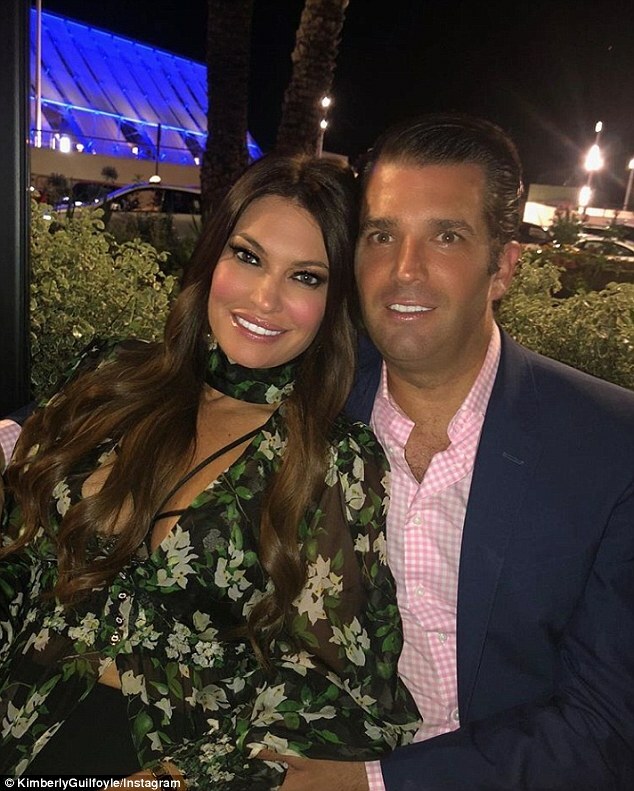 She said in an interview with Breitbart Radio that she believes Don Jr has a future in politics, and that she is so happy to have ‘finally got it right this time’ with her new boyfriend.